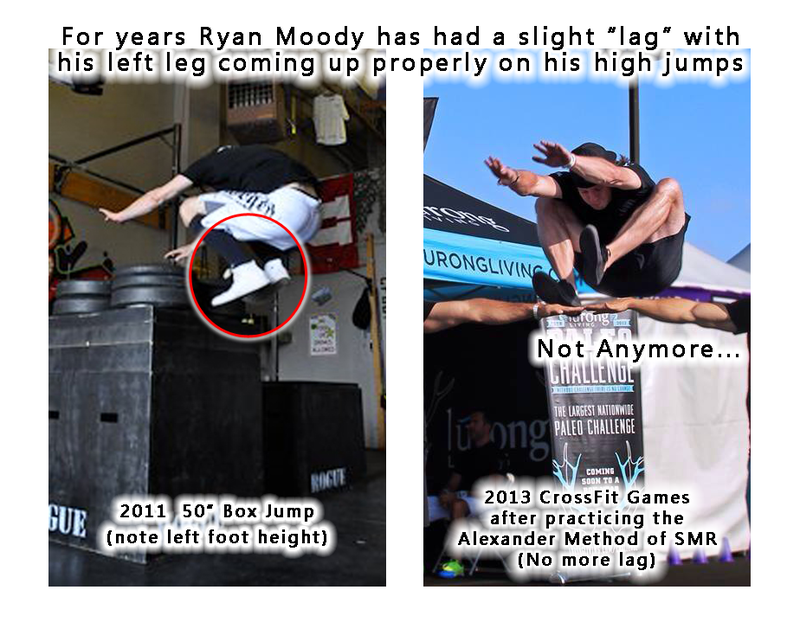 A good friend of his heard him speaking of a nagging hip issue and brought him to come visit us at the Rumble Roller booth at the CrossFit Games. After spending about 20 minutes with him and giving him some SMR "homework" to do each day, he got some rather dramatic results in only 2 days! 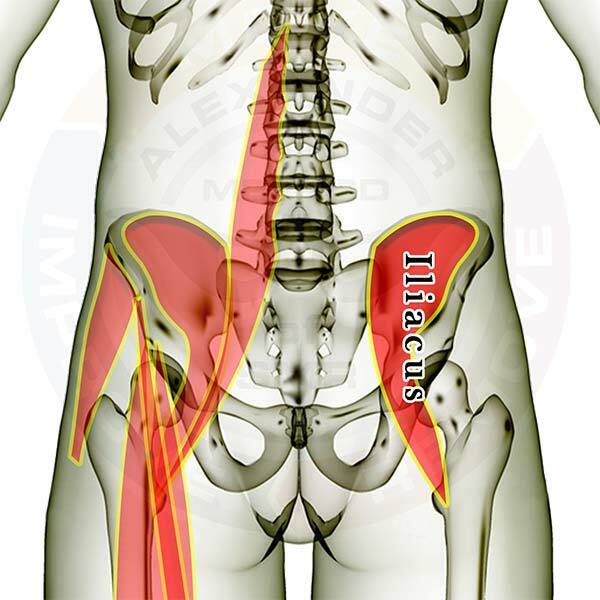 Pictured above is the gluteus minimus muscle. 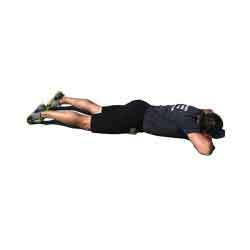 It primarily works to extend (open) the hip. However, it has a small portion of muscle fibers that cross in front of the hip, so it can work as a weak hip flexor, too. 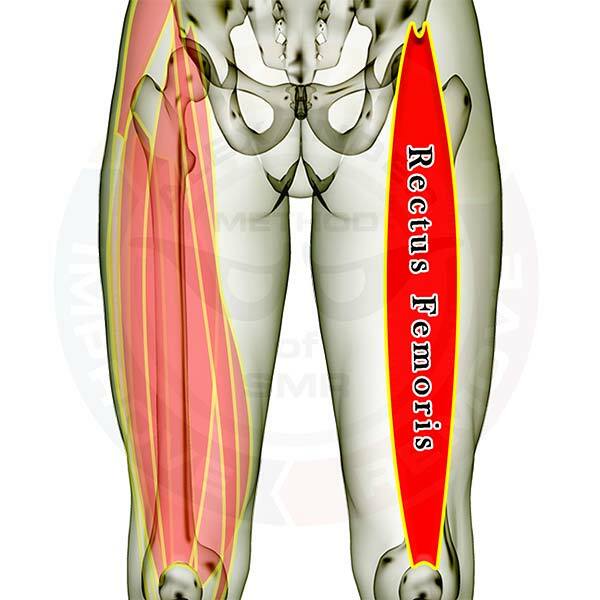 If this muscle is overly tight then it is EXTREMELY LIKELY that you need to address the rectus femoris and the psoas (in that order). 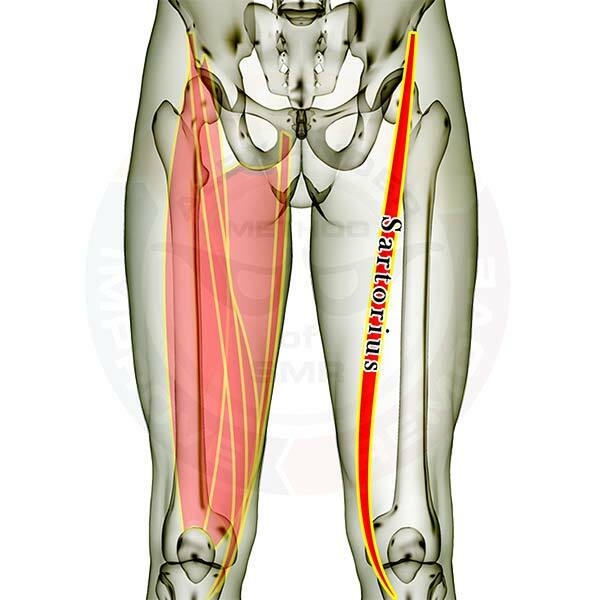 Pictured above is the sartorius muscle. It is nick-named the "carpenter's muscle." It primarily works as a stabilizer for the leg on the hip joint and rotates the knee outward. 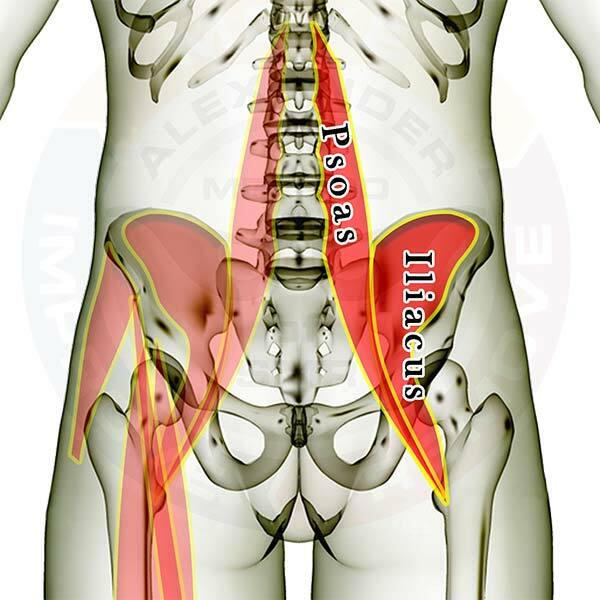 It is also a weak hip flexor. You can't move your hip in any direction without using this muscle. Persons that spend large amounts of time kneeling are likely to need stretching and SMR attention here. 80% of all adults over 18 years of age have some form of back pain. 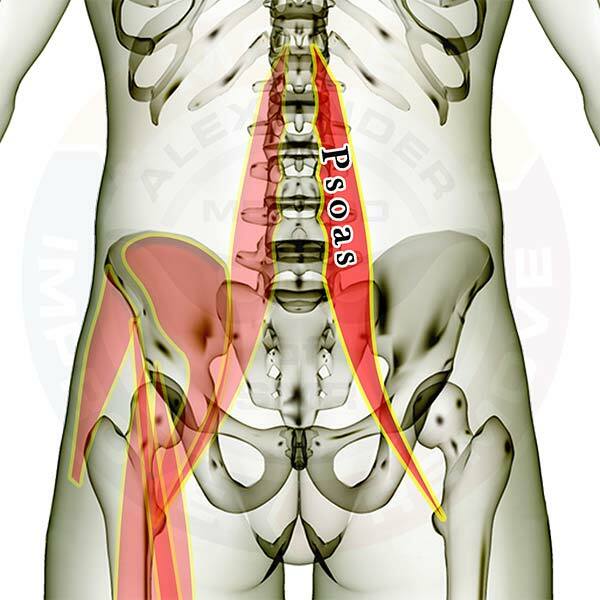 If you aren't also checking the psoas for excessive tension you are missing one of the most significant links to proper back function. The leg on the left has all the muscles that cross your thigh in the region of the rectus femoris. All of the muscles in the left leg are see-through so that you can appreciate the location and size of each muscle relative to the others. Click here to view the quads all together. Pictured above are the quadriceps. The leg on the right has each muscle labeled. 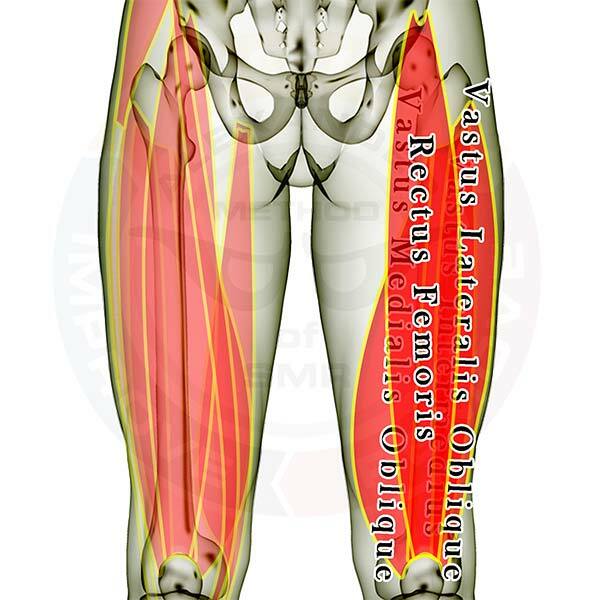 The muscles are also layered just like in your thigh, showing how some of the muscles are covered by the others. The leg on the left has all the muscles that cross the front of your thigh in addition to the quads. All of the muscles in the left leg are see-through so that you can appreciate the location and size of each muscle relative to the others.